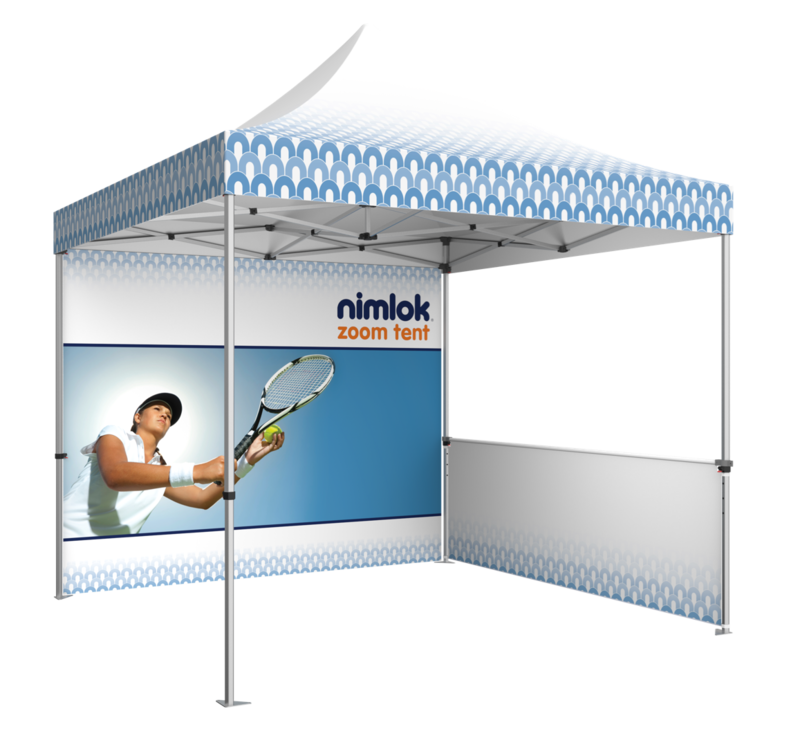 The 10ft popup tent features a lightweight, stable rust-resistant aluminum frame and is perfect for use at outdoor exhibitions, sporting events, concerts and more. Canopies and sidewalls are made from durable polyester, and are water, wind and UV resistant. The portable 10ft tent shades up to five people comfortably, and can endure exposure to outdoor elements. $1,078 Visit our showroom and get our 10% SHOW-UP-AT-THE-SHOP discount off the online price. includes custom canopy & hardware! includes a custom printed canvas canopy, hardware frame, stakes, guy roles and a rolling carry bag. Half wall and full wall are extra.